Tonight it was like old times with both of our kids home. We went out to dinner at a local Japanese restaurant. I am still working on finding the exact order I want. Last time I had hamachi nigiri and it was delicious but not enough. So this time I went for a combination plate. I liked the tuna, salmon, and one of the others but there were a few unidentified pieces that left me cold. The wakame salad, though, was wonderful. I need to find a source for that product! 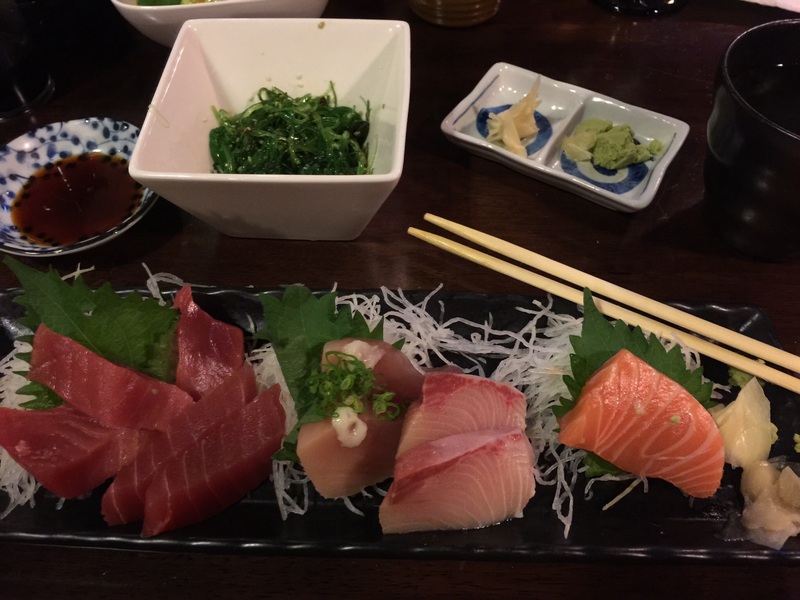 This entry was posted in Fish and tagged Sashimi, Seaweed salad, Wakame. Bookmark the permalink.